If you’re one of those that often access a specific unattended remote computer, we have a great tip for you. 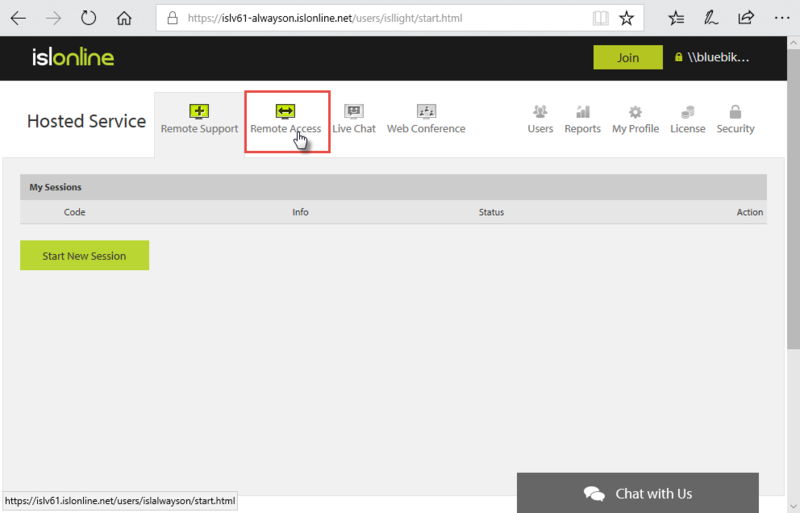 It will help you speed up the process of connecting to the remote computer and it will optimise your remote access experience. 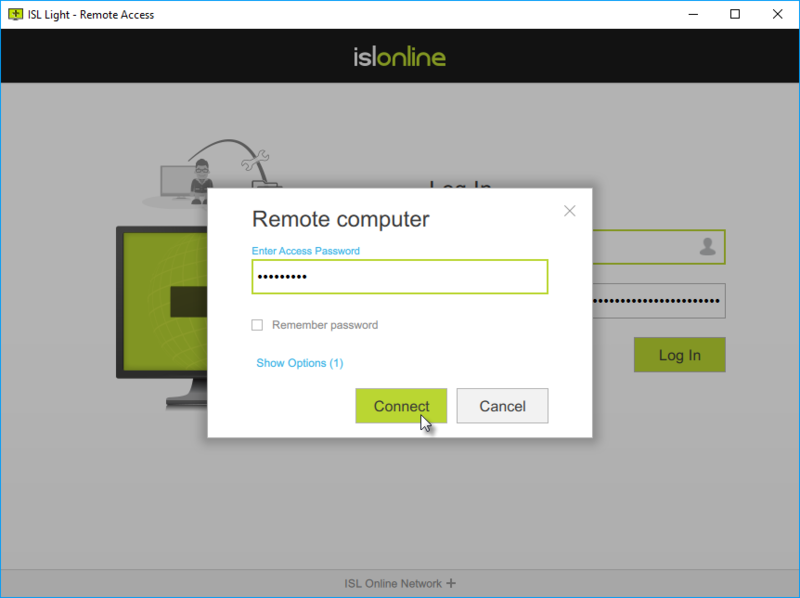 Log in at https://www.islonline.com and click on “Remote Access” tab. Find the desired computer and click “Connect” and then “Save” once the executable has downloaded. Double-click the executable to run it. Enter the remote computer’s access password. The connection will be established automatically. The first time you need to go through the whole process, but each time you would like to connect to this computer in the future, you just need to run the executable that you have saved and enter the access password for this computer. 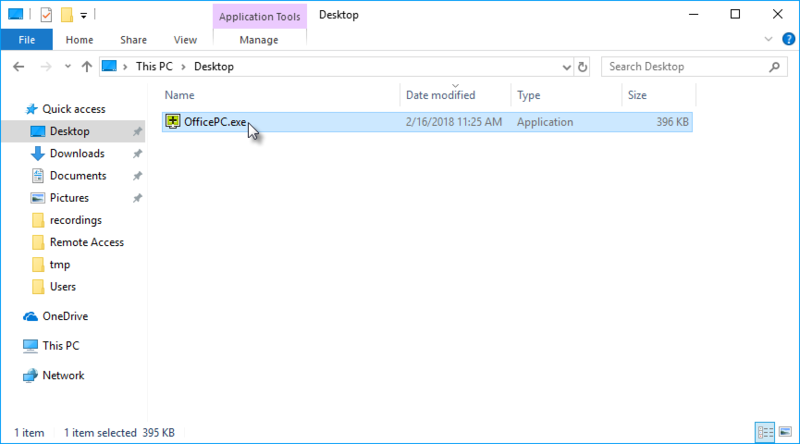 That’s because the executable contains all the necessary information for connecting to a desired computer and saves you time by skipping the first two steps. 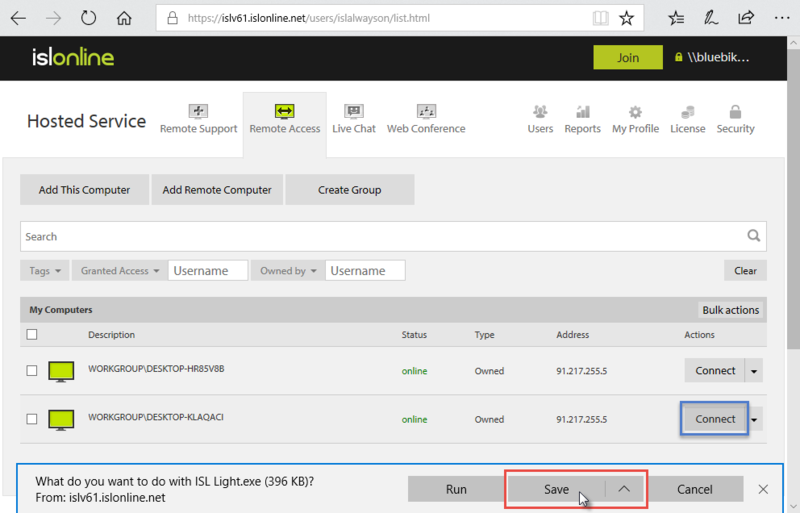 This entry was posted in ISL Online features you probably didn't know about and tagged fast remote access, ISL AlwaysOn, IT support, remote access, tips and tricks, unattended remote access. Bookmark the permalink. It’s really easy to access a remote computer. Great application. Good information, It’s really easy to access a remote computer. If you have any kinds of the technical issue with your system then you can get help with PC Support Number, we are just around you at the single Call. Dial @ +44 800 098 8380 . I read all your steps which mention above but I am unable to understand step 2 so please describe this step in another way otherwise all your steps are really good. When you click connect the ISL Light programme downloads and you get a pop-up dialogue as seen on the screenshot (Step 2). 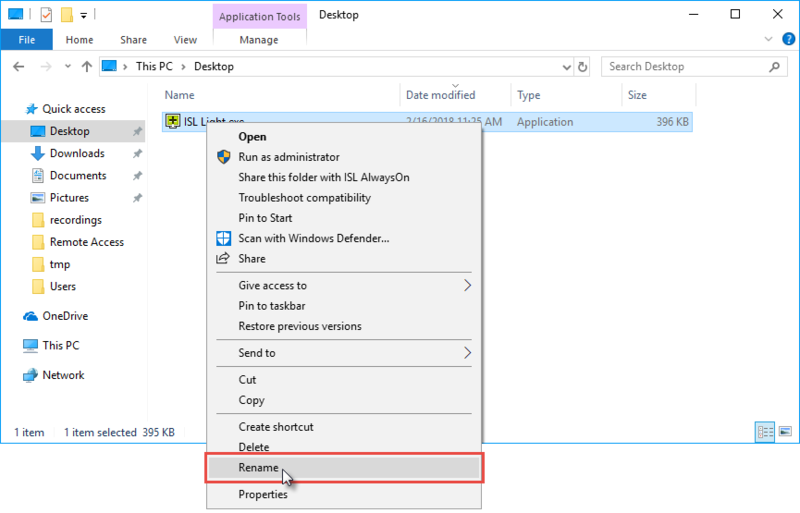 You need to save this executable file, so next time you can simply run the executable and access your remote computer faster.